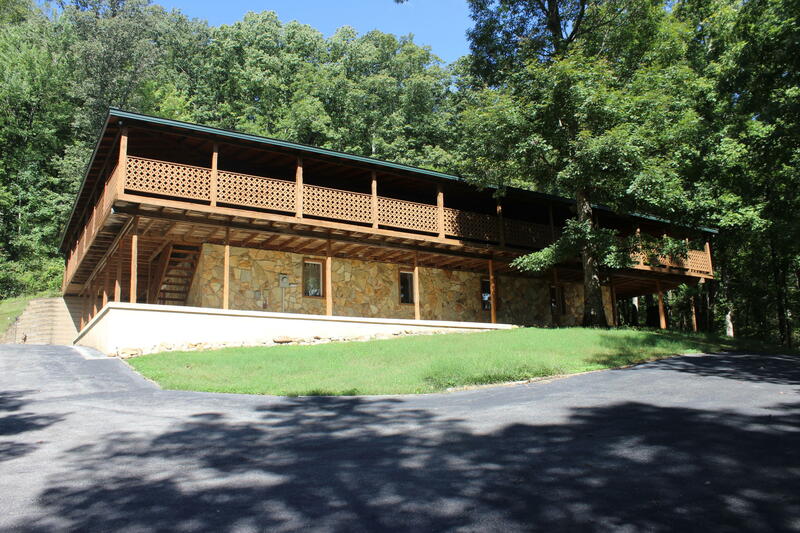 8.35 +/- PRIVATE acres in sought after Hardin Valley School zones. This great property boasts 3 bedrooms with an additional room configured as a bedroom. All bedrooms have a full bath attached. The kitchen, living room & dining room are open floor plan. The house has extensive space for growth. The downstairs has a 57x12 family room perfect for gatherings, game room or could be divided to satisfy the new homeowner. One room downstairs (currently used as a BR) would be a great in-law suite w/ the attached room as a sitting area. There is an additional bedroom downstairs as well. Come sit on the 2000+ sq. ft. wrap around deck & watch the deer, turkey and additional wildlife. The front deck overlooks the 28x40 barn & Circle C corral. This is the acreage you have been looking for.